Tinha que ser, era inevitável, mas fica-me sempre uma enorme tristeza. Um extraordinário jogador, um senhor do tabuleiro, que conquistou Caissa pela simpatia, pelo saber estar, pela categoria. Jogador "all-around" com um fortíssimo sentido posicional, uma belíssima visão combinatória e um conhecimento profundo de finais, era muito difícil de bater. Como afirmava, tinha uma visão muito pessoal do xadrez e mais do que odiar adversários, mais do ganhar a todo o custo, amava o xadrez e a sua beleza intrínseca. Homem de vasta cultura, tão raro na idiotia que enxameia o xadrez, "Gliga" jogava contra as peças! O seu livro com o mesmo nome " I Play Against the Pieces" é soberbo, na objetividade, na contenção, nas análises. Um livro como hoje muito raramente. Faleceu Gligoric e o mundo do Xadrez ficou mais pobre! Tirando objetivamente Fischer, Gligoric, Larsen e Portisch na minha opinião formaram um trio de mosqueteiros que conseguiram fazer oposição à realeza da máquina soviética. Svetozar Gligoric, era uma espécie de "Aramis" pela sua elegância, categoria e visão geral do xadrez. Aqui no Grupo, o Mestre Machado, que foi árbitro do Zonal do Algarve de 1969, disse-maravilhas de Gligoric, da sua simpatia, educação e forma de estar, o que não se afasta de variadíssimos relatos de outras paragens. Paz à sua Alma. E...estudemos as partidas de Gligoric, para termos acesso a esse manto diáfano de beleza que sobrevoa o xadrez. Não se esqueçam de ir ao site do Kevin Spraggett, e no artigo do dia 26 de Setembro de 2009, está lá a longa entrevista que deu a Lputian. Elucidativa de um Senhor do Xadrez! "GM de aviário" ( olhem por exemplo, aquelas maravilhas que acabaram ainda agora a final do Campeonato Russo (75% de empates)) , não lhe chegam aos calcanhares! Se calhar nem lhe conhecem as partidas! Faleceu Gligoric e com ele, um pouco de um xadrez maravilhoso que era uma mistura entre a competição, arte e beleza, substituído hoje por um merdelim técnico de aviário que vale menos de que um "corno" ! Coloquei no Youtube um vídeo em sua homenagem. Aqui têem o vídeo e se gostarem de ler, um longo e belo texto em Inglês desse belo livro (do qual foi redator) "Yugoslav Chess Triumphs"
"Gliga is chirping!" wrote Vasa Medan in "Politika" during the 1939 amateur championship of Yugoslavia in Zagreb. Medan who was himself participating in the tournament was delighted with the way the sixteen-year-old schoolboy was playing and was lyrical about him in his reports. Gligoric did not disappoint him: he won the tournament and at the same time the master's title. "Gliga", however, had been Medan's favorite since a quickgame championship for Belgrade teenagers, when at the age of fourteen he completed the tournament near the bottom of the list, and with tears in his eyes promised: ,,Next time I'll be first"! Only a year later he fulfilled that promise. But once started, his winning streak never broke. 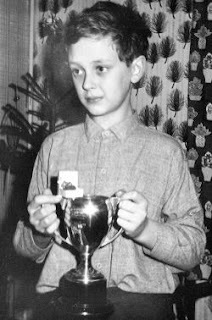 Not long after that he became champion of the Belgrade Chess Club in its most successful period when its members included such fine players as Brana Pavlovic, Rasa Savic, Voja Popovic, Voja Petrovic. 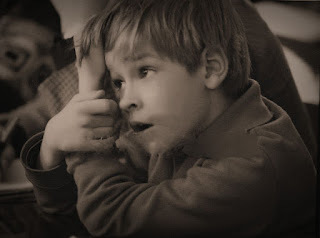 . .
From the beginning of his rapid rise young Gligoric showed great selfconfidence and courage. 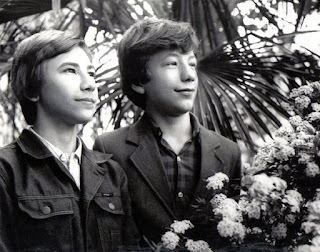 To give an illustration, on the eve of the war, of all the talented young players in Belgrade the most remarkable was Anatoli Arkhipoff, who was known as a strong theoretician. 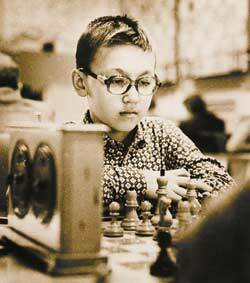 Only a couple of years older than Gligoric, he took a very studious approach to chess. He was, generally speaking, the scholarly type of chess player. Drawing on the works of Grigori Jakovlevic Levenfisch, Arkhipoff made a detailed study of the Queen's Gambit and could recite, at the drop of a hat, all the finenesses of that variation. Then he had a chance to use the Queen's Gambit against Gligoric not long after he had published a study about that opening. Everybody wondered how Gligoric dared play that opening, but the great theoretician Arkhipoff was defeated in about twenty moves! Svetozar Gligoric was born in Belgrade on 2nd of February 1923. By profession he is a journalist and writes about chess. His childhood was far from happy. Just before the war he lost both parents and was left an orphan, but not for long. 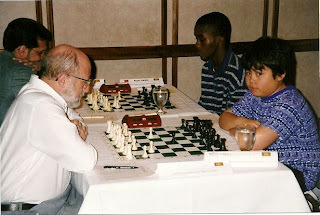 Dr. Niko Miljanic, also an avid chess player, took him as his own son. When the war broke out Gligoric, together with Miljanic, fled to Montenegro and a little later joined the Partizans. The war left no time for chess. When he was demobilized after the war, he at once started to work reviving the chess organization, which had been paralyzed and broken up during the occupation, many of its most talented members having lost their lives as patriots. Gligoric's task was by no means easy. He was supposed to awaken interest in chess in a country which had suffered and been bled for four long years. 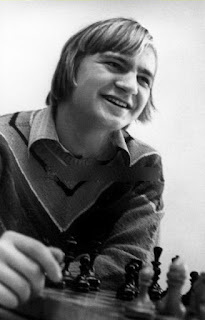 However, as invariably happens, after great historical upheavals, life quickly started to normalize, and Gligoric, in addition to all his obligations in the new^ chess organization, started to play in vaiious tournaments, and very successfully.The first time he drew the attention of international chess circles was withhis sensaional victory in the tournament of Slavic countries in Warsaw 1947, when he was two points ahead of the world's No 2 player Vasil Smyslov and another well-known grandmaster Isaak Boleslavski. For almost thirty years Gligoric has belonged to the very exclusive circle of the world's best players. Time and again he has worsted favorites just as in Warsaw 1947. In various tournaments he has overcome at least once all ofthemost celebrated players in the world, and has beaten nearly all one or more times in the final listing of points. As mentioned above, Gligoric became chess master in Zagreb 1939 and grand-master in 1952. He participated 19 times in Yugoslav championships, winning the title, alone or sharing it, 11 times. He competed in FIDE interzonal tournaments for the title of world champion eight times, and reached the finals three limes (candidate's tournament 1953 Zurich, candidates match-tournament 1959 Bled-Zagreb-Belgrade, Gligoric—Tal match 1968 Belgrade). In the 1975 Yugoslav championship in Novi Sad he qualified for the FIDE zonal tournament, but he relinquished his place to younger players considering that he had already enough opportunities to challenge the title-holder. Gligoric has participated in more than seventy international tournaments and also in many team championships, so that there is hardly a place on earth where he has not played for Yugoslavia. the most important results is very impressive. Ljubljana 1946 (I), Sarajevo 1961 (I-II), and 1962 (I-II), Belgrade 1962 (I), and 1969 (I-IV), Ljubljana 1969 (II), Zagreb 1970 (II-V), Vinkovci 1970 (II-IV), Portoroz—Ljubljana 1975 (II). Bulgarian championship"! 945 (I), Warsaw 1947 (I), Budapest 1948 (11), Mar del Plata 1950 (I) and 1953 (I), Staunton Tournament 1951 (I), Hastings 1952 (I), 1957 (I-II), 1960 (I) and 1963 (I-II), Hollywood 1952 (I), Rio de Janeiro 1953 (I), Montevideo 1953 (I), Buenos Aires 1955 (II), Moscow 1956 (IV), Bognor Reggis 1957 (I), Dallas 1957 (I-II), Zurich 1959 (II), and 1961 (III), Asuncion 1960 (I-II), Torremolinos 1961 (I-II), Reykjavik 1964 (II), Copenhagen 1965 (I-III), Tel Aviv 1966 (I), Dundee 1967 (I), Berlin 1971 (I), Los Angeles 1974 (I). Svetozar Gligoric likewise holds an Olympic record, not only for Yugoslavia but also for the rest of the world: he has participated in all the Olympiads since the war beginning with 1950 in Dubrovnik, which is a singular accomplishment that may never be repeated! In the XIII Olympiad in Munich 1958 Gligoric scored 80% on the first board, one of the best results in Olympic competitions. As a member of the Yugoslav team he scored high in the European Team Finals In Hamburg 1965 he had the best score on the second board (75%), and Botvinik was among his rivals. In Bratislava 1973 together with Spassky he was the most successful player on the first board. 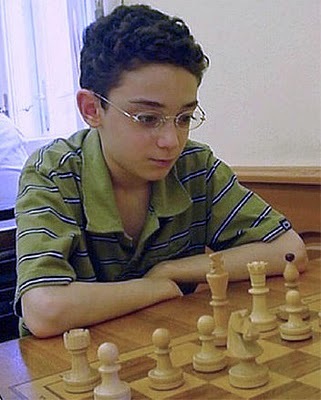 Gligoric has always cultivated a highly objective position style of play balanced by elements of tension and dynamism, which enables him to devise and carry out most complicated combinations at the proper moment. However, unlike other players given to combinations, Gligoric delivers tactical blows only when he decides that the position warrants it. His contributions to the development of chess theory are also great. 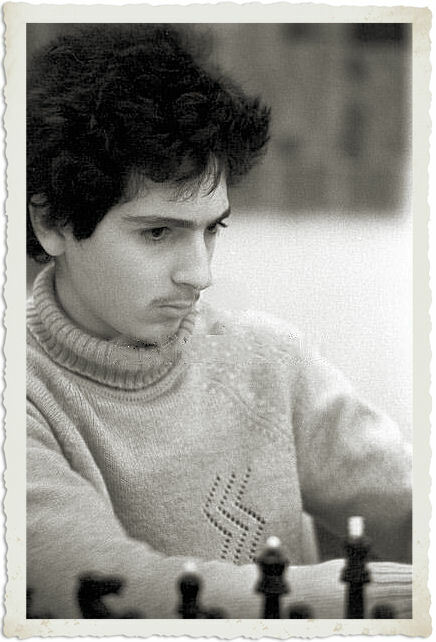 He is known in chess circles as one of best experts on the Rue Lopez opening and Nimzo-Indian Defence, and he has applied many original ideas in other openings. He leaves nothing to chance, he analyses every idea carefully, so it is very difficult to surprise him in the opening, though this has often happened to others. The penetration and depth of Gligoric's analyses have been proved many times. An especially good illustration is his game with Kavalek, a story which begins with the Fischer—Spassky match. Namely, one of the most interesting points in that famous match was the third game when Fischer as Black used a novelty in the Benoni opening, which seemed at first glance illogical. But he won the game with it, his opponent's self-confidence shaken. However, a few months later in a practise game against grandmaster .Kavalek—Gligoric demonstrated the weak points of Fischer's conceptions. He completely refuted this innovation and Kavalek had to resign after a few moves. Yet, as inventive and thorough as he is in doing analytical homework, Gligoric is just as well-known as a player who will discover some new move during a game to ruin his opponent's plan or compel him to enter unfamiliar terrain. Gligoric is author of many publications and theoretical monographs on chess, books about tournaments, etc. 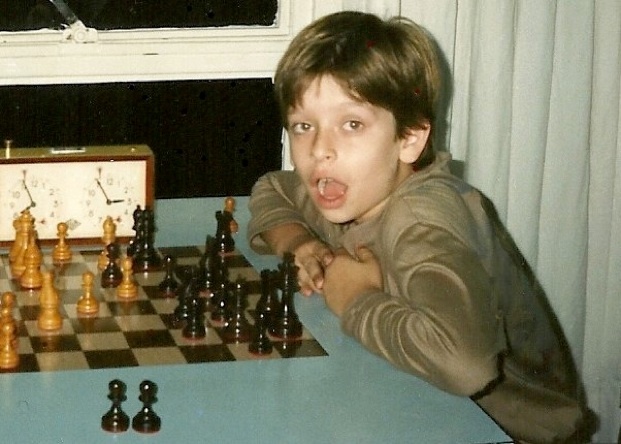 His book on the Spassky—Fischer match in Reykjavik 1972 was a great success. It was translated into several languages and soon become a best-seller with the largest printing of any edition on chess. In his writings on chess Gligoric shows a remarkable sense for refined psychological penetration into the complicated world of chess. Throught his career Gligoric has worked as a professional journalist. For twenty-five years, first “NIN" (a Belgrade weekly) and then for Radio-Belgrade, he has reported on chess. Especially memorable were his broadcast telephone calls with Fischer, Spassky, Petrosian and other leading chess players and FIDE organizers. It is quite possible that if Gligoric's professional duties had not prevented him from devoting himself exclusively to chess that he might have climbed a few rungs higher, perhaps, even to the very top. Gligoric was given the ANVOJ award (one of the most distinguished in Yugoslavia) in 1975 for his work in promotin chess and building up the reputation of Yugoslav chess. For years Gligoric has been the ideal chess player for many fans, and he truly deserved the complimentary attribute ,”Yugoslavia's living chess legend". In chess history there have not been many masters who played as successfully in their late fifties as Gligoric. During his whole life he has been an active sportsman. Sometimes he has overdone it. 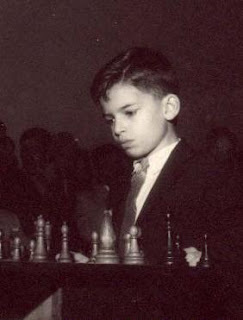 He may even have lost his match against Tal 1968 because of soccer. From the beginning of the match Gligoric held a one-point leadseven into the second half; then Gligoric went out to play a little soccer. It was chilly weather and he cought cold, after which he finally lost the match. Running after the ball in some unscheduled game has has sometimes ended in a bandaged wrist or ankle, with Gligoric limping to the chess table, but he still hasn't given it up..
Tennis is another favorite, even more than swimming, although as a boy he never missed an opportunity to go swimming in the Sava River. Driving fast cars is another sport he likes. It is quite natural that somebody who has travelled all over the world would have many souvenirs. Gligoric has a fine collections of records from classical to the most modern. More than once he has lent his records to a local radio station. Not long ago Gligoric suddenly decided to retire from the chess arena though still in top form as a player. Let us hope that his decision will be only temporary and that he will add some new gem to his already bejewelled crown. Muito jovens, jovens e alguns adolescentes. Alguns de fácil identificação, outros...muito, muito complicado mesmo. Só muita observação e conhecimento de fotos de Torneios internacionais ou de peças de xadrez para lá chegar. São de vários continentes e, "deo gratias", todos vivos e todos GM. Uns mais antigos, outros mais actuais.Uns atingiram projecção de enorme relevo no xadrez mundial, outros nem por isso, mesmo sendo fortes Grandes Mestres. Quem acertar em todos, ganha um livro de xadrez ( poesia...sim de poesia sobre xadrez)! Mas tem de acertar mesmo em todos! Sem prémios, já neste blogue fiz diversos desafios sobre cinema e xadrez, jogadores Portugueses e jovens jogadores internacionais e nunca ninguém acertou em todos. Vamos lá a ver se agora é de vez! Os meus desafios são mesmo fáceis! Difíceis, difíceis são os do Edward Winter! Ah! Uma surpresa: quem joga com o miúdo da foto 9, não é o Fernando Castro! Parece mas não é! Agora sim, boas férias para todos e só postarei no início de Setembro. VICTOR SILVA , penso que em Estocolmo, talvez em algum Europeu de Juniores. A fotografia pelo menos é da capital da Suécia.A data não consigo descortinar, mas deve andar pelos finais dos anos 70 (princípios). Era um redactor assíduo da Revista Portuguesa de Xadrez cujo Director era o Simões Nunes e distribuída pela Agência Portuguesa de Revistas. Subitamente nos anos 90 deixou por completo a modalidade (estarei enganado?). O que será feito dele? Como arranjei a foto ? Claro na Ebay, embora não a tivesse comprado pelo preço exagerado que o comprador queria e pela incerteza de não ser uma foto original. Gostaria que alguém que conheça o Victor lhe desse a conhecer esta foto. Obrigado. Claro que este desafio só pode ser para os mais "encardidos" do tabuleiro, hoje na casa dos 50, 60 anos ou mais. Nunca vi esta foto em lado nenhum, nem sei se o próprio a tem! É ...foi um jogador português de muito bom nível no tabuleiro e chegou mesmo no xadrez por correspondência a uma bitola elevada. Escrevia e bem sobre xadrez! Quem é este...jovem? Se o conseguirem identificar, podem dizer-me o que é feito dele? Abandonou a modalidade vai para tantos anos! Como chegou esta gravura às minhas mãos? A foto foi tirada em Portugal? Depois explico. Agora em vídeo no YouTube. Se não apreciam peças de xadrez, apreciem as fotos de alguns jogadores fabulosos da história do Xadrez (com as peças iguais ou aproximadas). Se não apreciarem uma coisa nem outra, apreciem a música russa que "sobrevoa" o vídeo. Já agora uma pequena informação: o vídeo que coloquei no youtube sobre Bobby Fischer já vai nas...17.724 visualizações. Nada mau para um vídeo realizado só com fotos. Boas Férias e melhor Xadrez!